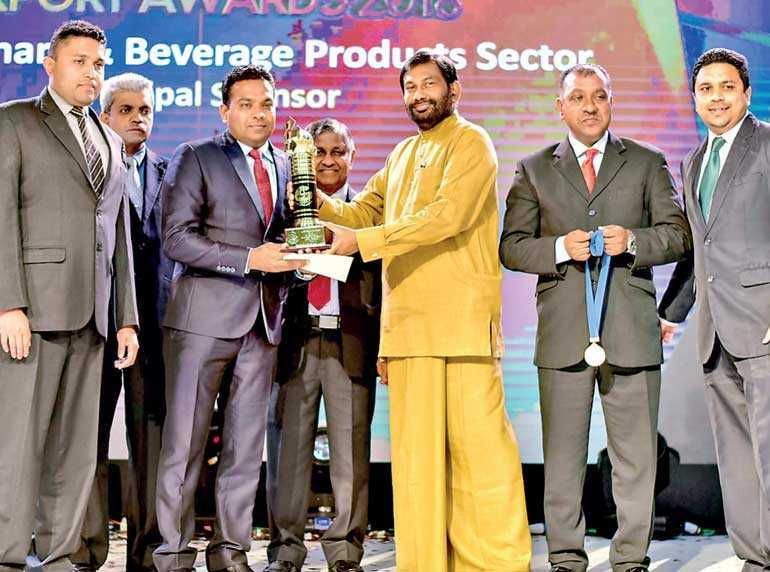 Sri Lanka’s legendary consumer foods brand Elephant House has won two Gold awards at the 26th annual NCE Export Awards 2018. Having won Golds in the ‘Frozen Confectionery and Beverage Medium’ and ‘Fresh and Processed Agriculture Exports’ categories, these awards are the most recent in a history of achievements at past NCE Export Awards ceremonies, which have seen Elephant House win multiple times, in multiple categories, over the years. The Gold award won in the ‘Fresh and Processed Agriculture Exports’ category was a welcome honour as it highlighted the company’s sustainable farming practices and programs that were initiated to support and enrich local farming communities within Sri Lanka, especially with regards to vanilla and ginger farmers. “Elephant House is continuing its aggressive expansion into international markets. We will be focusing on our upcoming entry into Qatar, as well as strengthening our existing presence in over 30 markets worldwide, including UK, Switzerland, France, Italy, UAE, Australia, India and the Maldives. We have also benefited from retail partnerships with Tesco, Asda, Lulu and others, enabling us to achieve significant growth in exports,” commented Buddhika Abayakoon, Head of International Marketing – Consumer Foods Sector and Assistant Vice President at John Keells Holdings Plc. Furthermore, the Elephant House brand has managed to secure market leadership in the Ice Cream category in Maldives as a result of their significant presence in the country’s modern trade channels and Resort segment.